Carrot and Courgette Salad with Sesame and Soy Dressing. 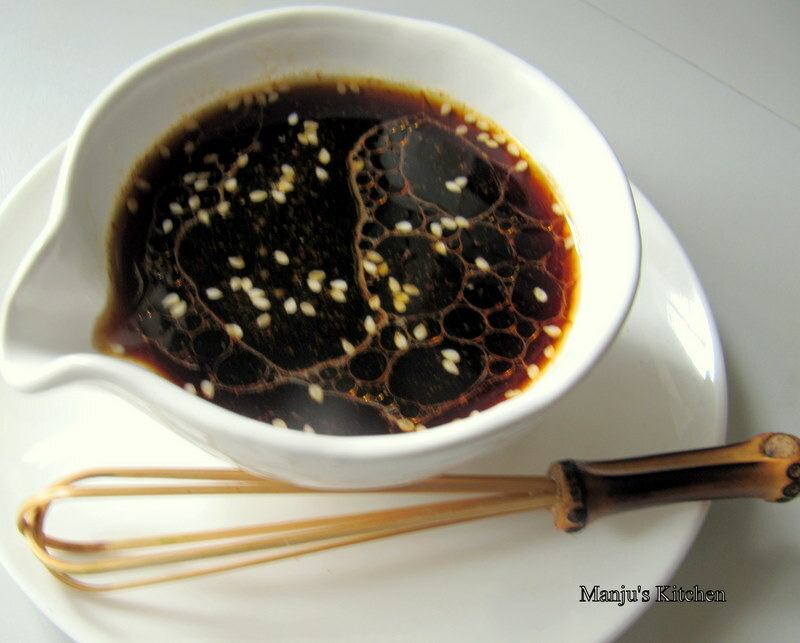 Sesame oil and sesame seeds are both very important ingredients in my kitchen. The toasted sesame oil is one of my favourite among all oils and it adds a delicious nutty flavour to the dishes. It is mostly used in Chinese, Japanese and Korean dishes as a flavouring. In Indian cooking light sesame oil is used which is much milder in flavour but has a high smoking point compared to the toasted sesame oil hence can be used as a healthy option for deep frying. Sesame is one of the oldest and most important oil seed known to mankind. It was cultivated during the Indus valley civilisation and was the main oil crop during that time. It has got a high proportion of poly unsaturated fatty acid (Omega 6) and the seeds are exceptonally rich in Calcium, Iron, magnesium, manganese and copper. It is also very high in Vitamin E and Vitamin B .These days It is considered as a super food because of its nutritional values and health benifits. Toasted white sesame seeds and toasted sesame oil are used in the dressing for this salad. This is one of my favourite dressings. Hope you enjoy it as well. Wash and cut carrots and courgettes into thin long srips. Crush the sesame seeds in a pestle and morter and whisk together with all the other ingredients to make the salad dressing. Pour over the vegetables, mix and serve. I just tried it – it’s delicious, Manju! 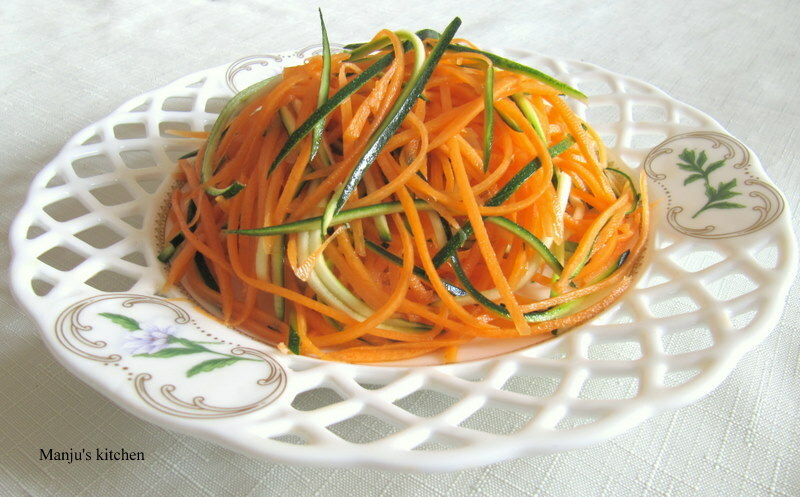 The dressing makes a nice contrast to the sweet and juicy carrots and courgettes. Carla,i am really happy to hear it came out well and you liked it.